Nineteen years in America and Job Ogbonnaya has little to show for it. Sent to the United States by his parents to attend college and eventually become a doctor, Job has failed. Instead of admitting this to his family, and to himself, he lives a lie. Everyone back home in Nigeria refers to him as Mr. Doctor. Mr. and Mrs. Doctor opens with Job’s honeymoon with his new bride, Ifi. An orphan raised by her aunt and uncle, Ifi is on the road to spinsterhood until the prospect of marriage to Job arises. With years shaved off of her real age of 30 and a proper family name, Ifi is a suitable wife for a man of Job’s stature. So it is that Job and Ifi enter their marriage under the veil of lies and deceit. While Job has struggled to carve out a decent living as a nurse’s assistant, his friend Emeka thrived. A civil engineer with a big house, the beautiful Gladys as his wife and a gaggle of children, Emeka is living the American Dream that Job is sure was promised to him. For all of his boastful ways, Emeka strikes me as a genuinely good person that has Job’s best interests at heart. However, Job is so jealous and fearful of his secret being discovered that he’s never able to fully accept Emeka’s kindness and constantly thinks that he’s trying to undermine him. Though Emeka and Gladys do have laughs at Job’s expense, they rarely do so in front of his face, sparing him the humiliation that would come if he knew that they knew what he was hiding. As Ifi continues to dream of her big house with a white picket fence, you start to feel sorry for her, trapped in a squalid apartment with no one for company except a bigoted old lady that soon turns on her when she realizes that Ifi prefers the company of those that she looks down on. Imagine coming to a foreign country with all of your hopes and dreams pinned on one man, only to find that he’s let you down. Ifi doesn’t readily make friends with Gladys, who seems to look down on her from their first meeting. Is she so condescending because she thinks Ifi knows the truth about Job and is going along with it, does she think she’s desperate, does she think she’s stupid? It’s never really clear, but we know from her shocking actions later in the book that she completely disregards her feelings time and time again. There’s an animosity toward Ifi that’s never really explained. Job’s lies and foolishness are so overwhelming and so far reaching. Watching Ifi move through life with Job reminded of the five stages of grief: denial, anger, bargaining, depression and acceptance. It’s difficult to feel sorry for her because her initial deceit is what put her in the situation she’s in. Is her one lie more forgivable? I think so, because it doesn’t hurt anyone. Job’s lies keep his family living near poverty and jeopardize their future, and he never learns from his mistakes, which is most dangerous. 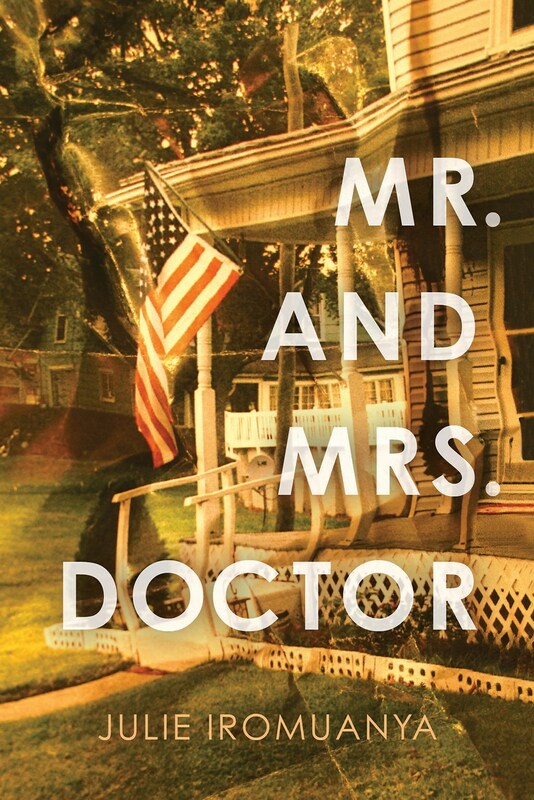 Every character serves a purpose in Mr. and Mrs. Doctor. I appreciate that the author gives us insight into the thoughts of both Ifi and Job, it makes for a more balanced story and there’s no need to guess how one of them feels in reaction to what the other has said or done. This is a solid debut from Julie Iromuanya and I definitely look forward to reading more from her soon.